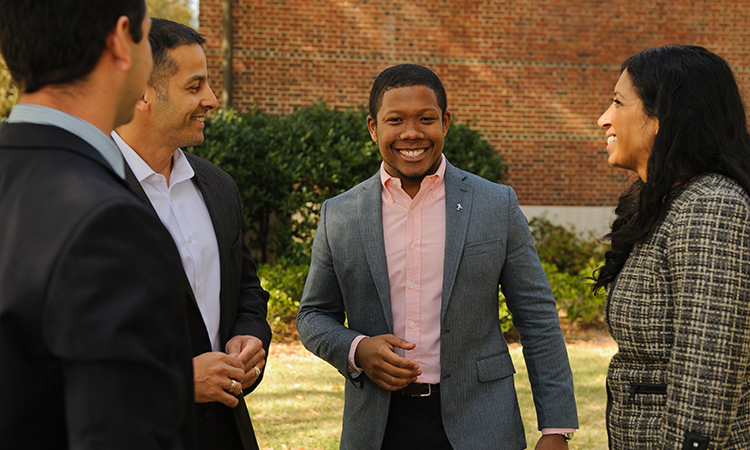 The University of Alabama Executive MBA provides two program options for busy executives: A traditional, 17-month, every other weekend program in Tuscaloosa and a 21-month, one weekend a month format in Huntsville, which blends online with an in-class learning environment. The University of Alabama EMBA focuses on leadership, strategic development, data analytics, and financials. It also emphasizes professional networking with strong alumni and corporate engagement, as well as return on investment. An international trip includes a corporate consulting project. Leadership is integrated throughout the program with courses, career development workshops, lectures with C-level executives, and corporate visits. Leadership does not end at graduation as the program continues to offer opportunities for advancing growth.